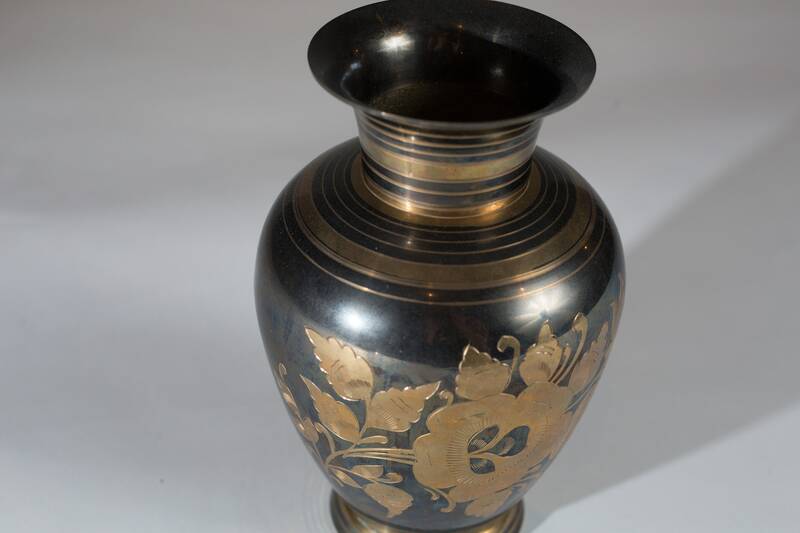 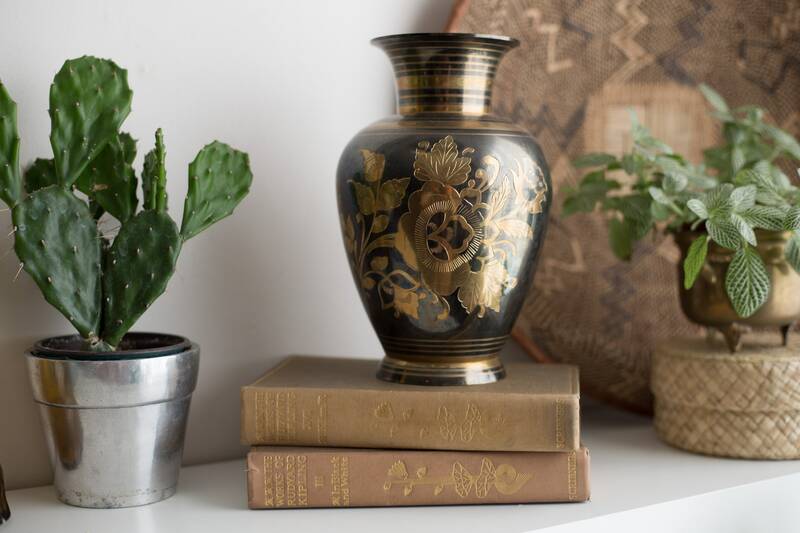 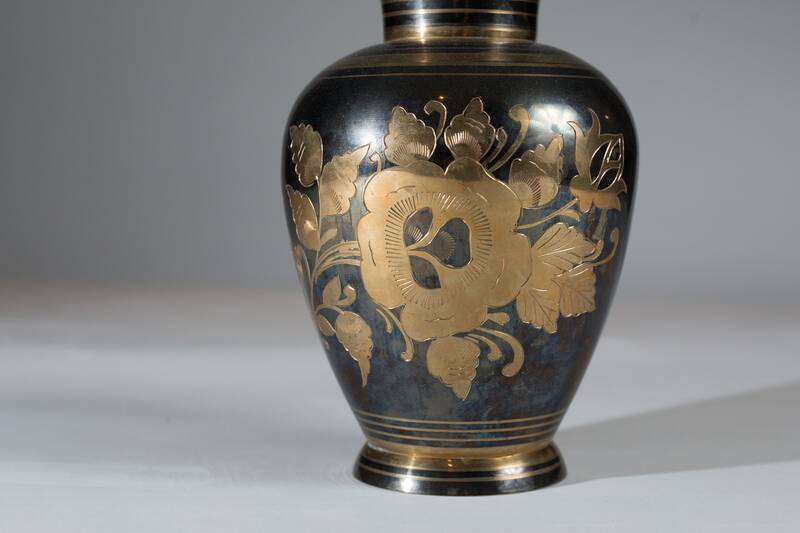 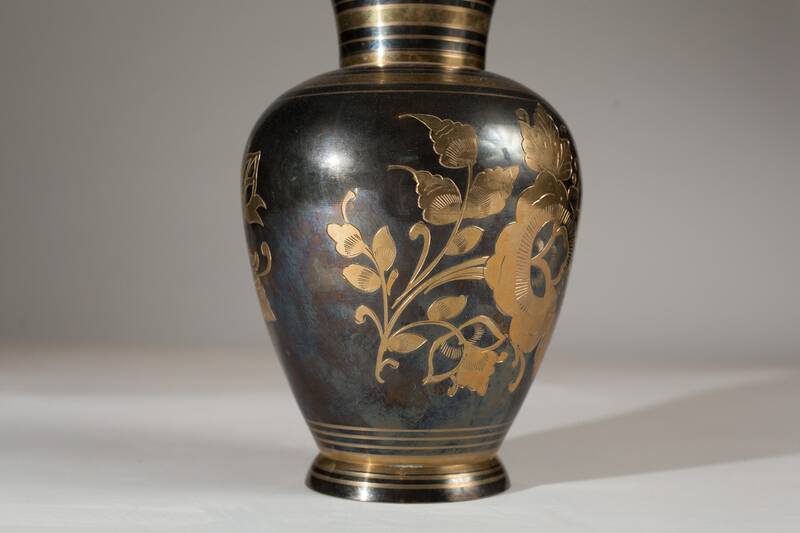 This is an fantastic vintage large carved brass bust vase with a lot of character. 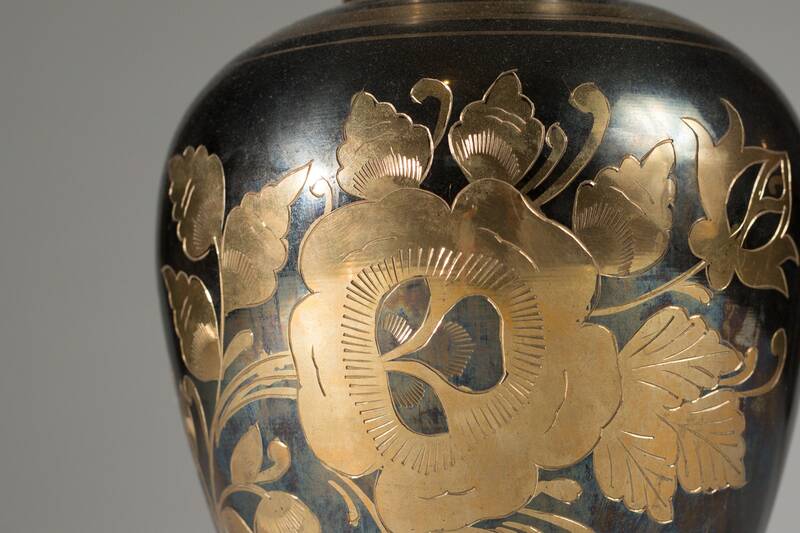 It is hand-decorated with a beautiful floral ornate pattern. 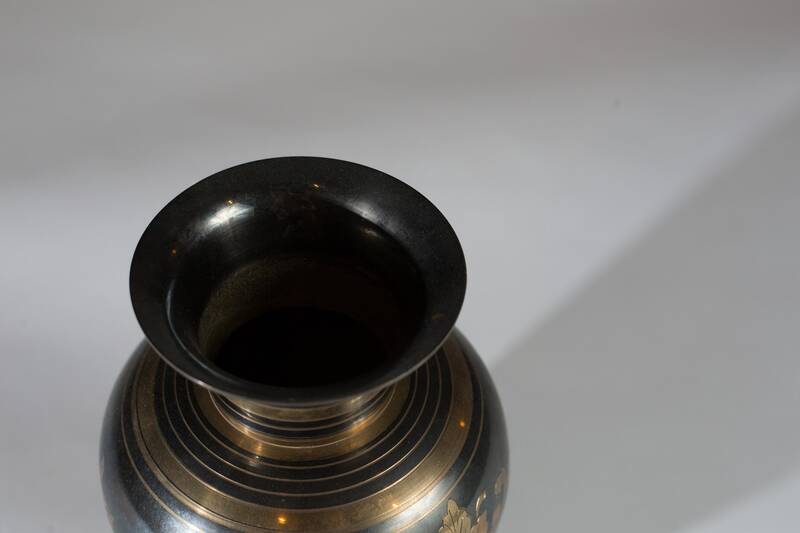 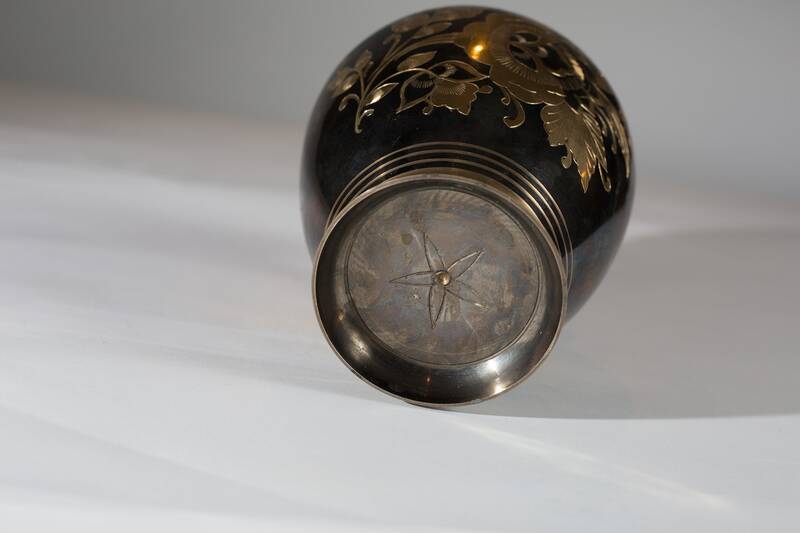 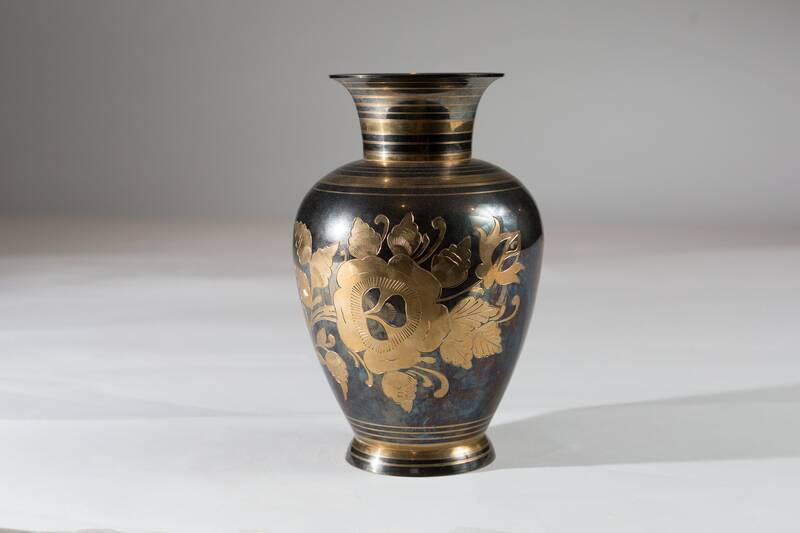 It is finished with silver plate that has tarnished into a dark charcoal colour. 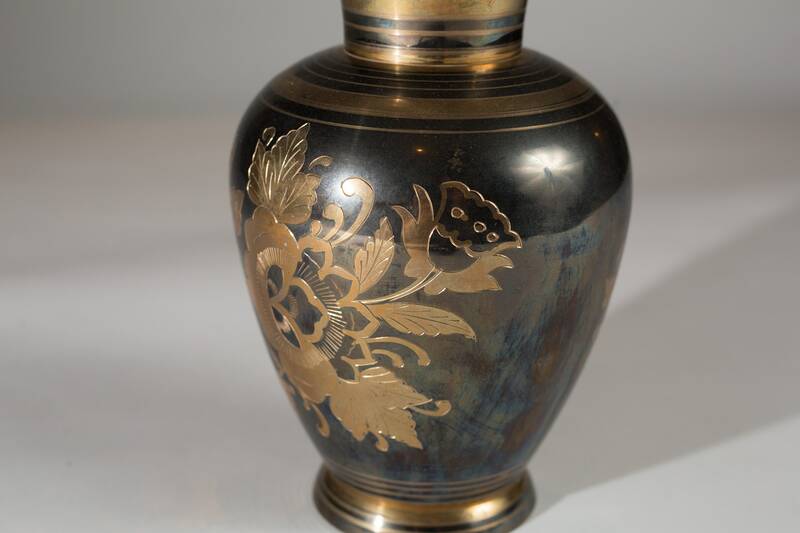 If you would to polish it, it could be restored to it's natural metallic shine.